Dubbed the “King of the Waltz”, André has sold an impressive 40 million albums worldwide and performs in front of an audience of 600.000 people every year. This concert based on eternal romance will be immersed in melodies telling about love and emotions, which can only be reinterpreted by the “King of Waltz” himself. In 2016 André tours Europe, Australia and South America, along with his Johann Strauss Orchestra, the biggest private orchestra in the world and many soloists. Every night they make the eyes and ears of their audiences sparkle, sharing their passion for music with everyone. Prior to his 2017 tours through Germany, France and the USA, André Rieu will return to Belgium for one night only on January 8th for a hymn to love by performing the most beautiful and well-known melodies of the music history along with his great sense of humor, his onstage charisma and rock-star demeanour. 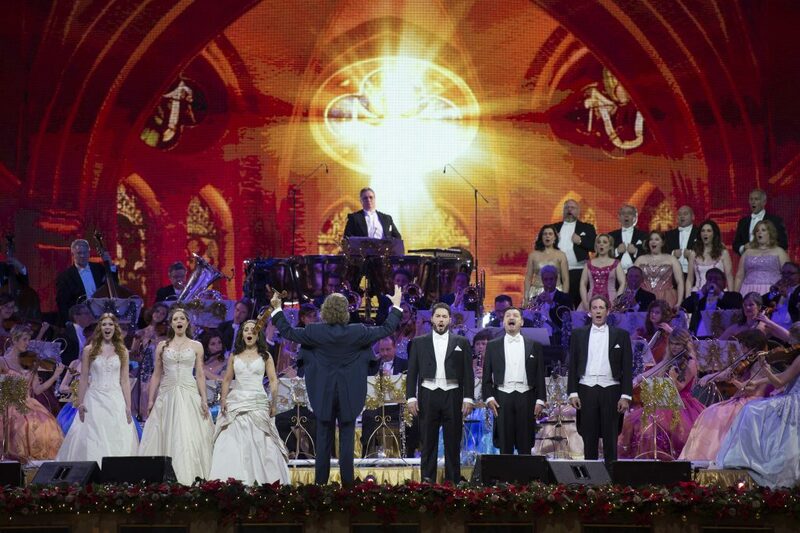 Come and see for yourself why André Rieu’s shows are the only classical concerts where people literally jump to their feet and dance in the aisles.